Aimpoint PRO Patrol Rifle Optic 12841Designed with input from a distinguished group of current and former professionals, the Patrol Rifle Optic incorporates many never before seen features to maximize this sight's performance within the challenging conditions faced by modern law enforcement. A hard-anodized 30mm tube was utilized, enclosing a high efficiency circuit that allows the sight to be turned on and left on for up to three years using a single battery. 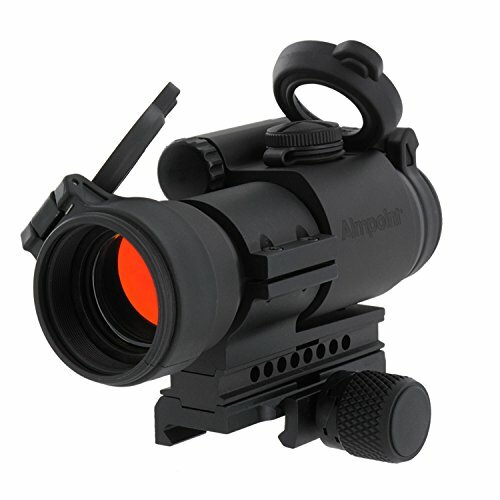 The Aimpoint PRO Patrol Rifle Optic's front lens utilizes a unique band-pass coating, which allows the sight to be used with all generations of night vision devices. The modular QRP2 mount includes a removable spacer that indexes the sight at the optimal height for co-witness with the standard iron sights on AR15/M16/M4 Carbine style weapons. This spacer can be removed to enable the use of the sight on police shotguns or sub-machine guns. The QRP2 mount for the PRO Optic also incorporates a torque-limiting twist knob that provides the optimal level of pressure on the rail while completely eliminating the possibility of over-tightening. Both the PRO Optic's front and rear lenses are recessed within the sight body to provide protection against impact damage, scratches and fingerprints. If you have any questions about this product by AimPoint, contact us by completing and submitting the form below. If you are looking for a specif part number, please include it with your message.